Carol, age 91, passed away peacefully on September 4, 2018. She was born on March 18, 1927 to Manuel and Maria Gaona. The Gaona family settled in the Strathmore area where Carol attended both Lindsay and Strathmore schools. She learned to drive at a very young age and was most proud of her driving independence up to the age of 91. Carol met her husband, John, in 1944 and married him at Saint Anne's Church on September 10, 1944. She and John had three children, Carol, Rachel and Arthur to complete their family. Carol joined the work force in 1954 working at Montgomery Ward. In 1956 she began her 35 year career as a psychiatric technician at the Porterville State Hospital. Carol and John purchased their final new home in 1955. The home was not landscaped. The couple spent their lifetimes landscaping and maintaining their home. Carol spent countless happy hours working in the park like setting of her yard tending to her many plants and yard decorations. John preceded Carol in passing on April 4, 1991. Carol retired from the Porterville State Hospital shortly thereafter. During her retirement years, Carol volunteered at Helping Hands, where she looked forward to working with her friends. This volunteer work also gave Carol the opportunity to drive her stick shift Volkswagen Beetle and her Mazda stick shift pickup going around picking up donated food from various locations. She also volunteered as an elections officer working at several polling locations in Porterville. Her trusty electric coffee percolator accompanied her to her assignments. Carol is survived by one sister, Aurora Alonzo. Carol's three children and their spouses Carol & Jorge Pagela, Rachel & Terry Moore and Arthur & Hortencia Nava. 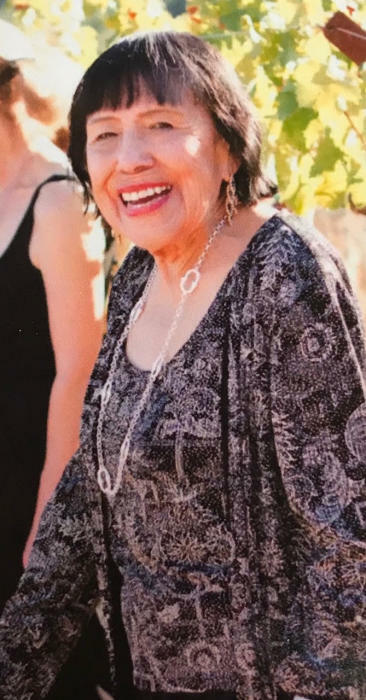 She is also survived by her four grandsons and two granddaughters, Greg Pagela, Martin Nava, Jeff Moore, Chris Moore, Ericka Leal-Lopez, Melissa Leal and eleven great-grandchildren. She also leaves her faithful companion, her cat, Amy. Viewing and recitation of the Holy Rosary will be held at the Porterville Funeral and Cremation Center at 765 West Henderson Avenue on Thursday, September 20, 2018 from 4:00 p.m. to 6:00 p.m. The recitation of the Holy Rosary beginning at 6:00 p.m. Church services will be held at Saint Anne's Catholic Church on Friday, September 21, 2018 at 11:00 a.m. Private cremation/interment will be conducted at a later date.